Our chauffeur will track your flight. Within 5 minutes of landing, your chauffeur will send you a text message to connect up with you. Your vehicle will remain parked in the limo lot and wait for a response from you. When you have your luggage and you are ready for pick up, please call or text your chauffeur back with your location outside of baggage claim. It is helpful to give your chauffeur the door number you are nearest. (The number is located over all of the sliding airport exit doors and will begin with “L1” for Level 1.) Your chauffeur will then proceed into the terminal and pick you up. Please note, under normal conditions, it will take about 10 minutes for your chauffeur to reach you. 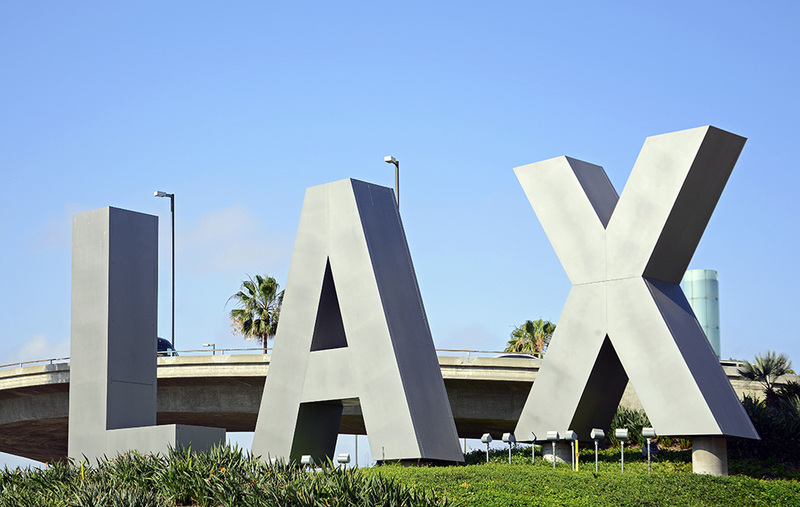 Unfortunately, LAX has been extremely busy, under construction and very congested. To make matters worse, LAX has located the Uber lot BEHIND our lot resulting in extra traffic in our lot when the Uber drivers maneuver through. Under peak periods (typically between 8 PM and midnight), it will take additional time to reach you. Your chauffeur will track your flight, park in the parking structure nearest your terminal, prepare a name sign and walk into the terminal. They will exhibit the name sign and wait directly as you exit the security area, right before the baggage claim area. Your chauffeur will assist with collecting your luggage and then proceed with you out to the parking structure to enter the vehicle. If you do not have a US phone for our chauffeurs to contact, we will need to schedule this type of pick-up. We highly recommend that you do NOT schedule one vehicle to pick up passengers from different flights. Although the flights may be scheduled to land at the same or close time, we all know that in reality flights rarely arrive on schedule. Most times one or both flights will be early or late. We are required to purchase a trip ticket for each flight and we cannot enter the airport until the last flight is ready for pick-up. This often times results in clients waiting long periods in the terminal for the additional flights to arrive. Complementary forward facing car seats, rear facing infant seats and booster seats are available.